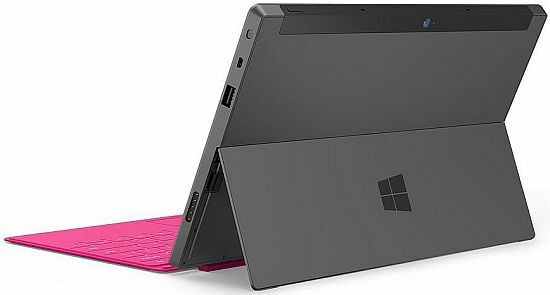 After luring the world with Xbox 360 for quite some years now, Microsoft makes yet another mega foray, this time, into the notebook arena with the release of Surface: a 9.3mm thick tablet made from liquid metal magnesium. 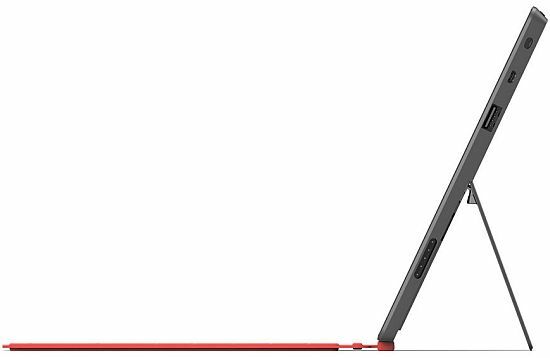 The newly released iPad competitor flaunts a 10.6-inch display (1366×768 resolution) with a 22-degree angle and weighs 1.5 pounds. 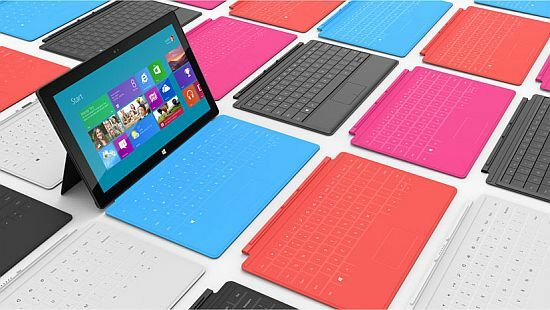 The Surface, with its two models: a Windows RT (Metro Windows 8) and an Intel-powered Windows 8 (Pro version of Windows 8), aims to challenge iPad’s supremacy. While the Windows RT Surface will flaunt 32GB and 64GB capacities, the Intel Surface promises higher storage options, is thicker at 13.5mm, weighs 1.9 pounds and a ClearType Display. 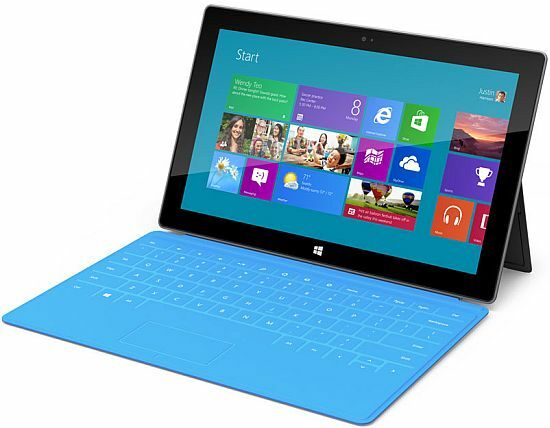 Moreover, the Intel-powered Surface also flaunts a stylus which is well capable of inserting “digital ink” at 600 DPI. 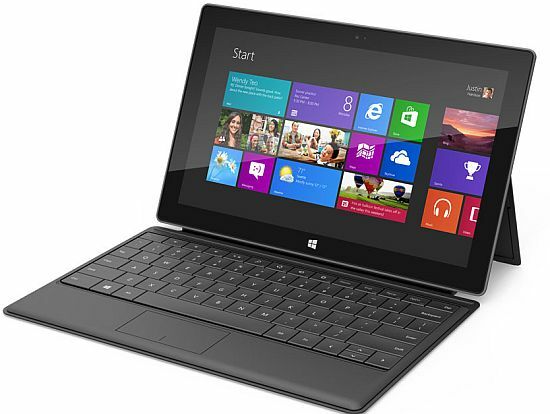 Surface comes equipped with a full-sized USB 3.0, a display port, microSD card slot and a pop-out kickstand. Microsoft has exclusively designed a 3mm thick, magnetic keyboard cover called Touch Cover that – aside from working with a multitouch keyboard and trackpad – protects Surface’s display too.